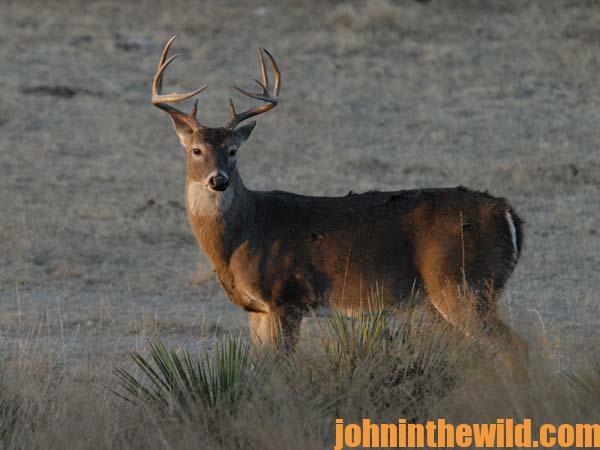 John’s Note: When you do everything right on your hunt, why doesn’t a buck show up when you expect him? We all often ask this question, but we rarely get a satisfactory answer. 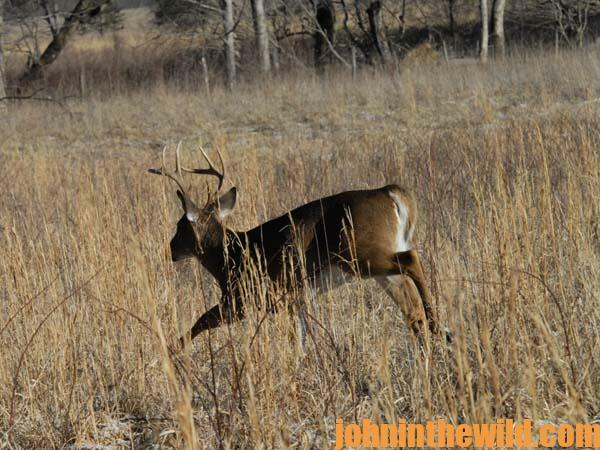 About 90% of the deer harvested each season are taken while moving and feeding. Rarely will a hunter find and take a bedded-down buck. 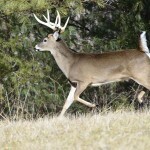 If you know when, why, where and how deer move, you more realistically can predict when the buck should come in to you. 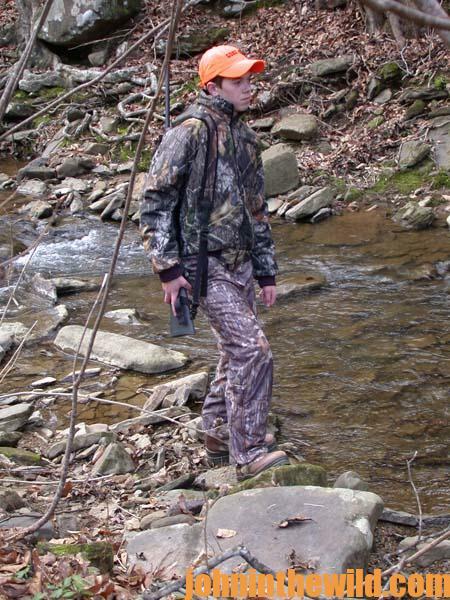 With this knowledge, you can set-up a game plan that will cause bucks to come by your stand by following these steps: get an aerial photo of the land you plan to hunt; mark the places on the roads where most hunters enter the woods; and determine the distance of a 1/2-mile from the point at which other hunters will enter the woods. Because a deer will run almost 400 yards before it stops to look back, any deer that gets within 800 yards of you and any point at which any of the hunters enter the woods, should move past you during the first hour of the time you hunt. 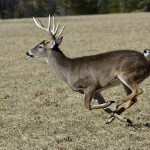 Using this technique, hunting pressure becomes an advantage instead of a disadvantage. 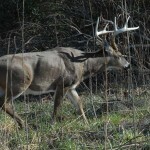 * Learn how noise will move bucks. “Unfamiliar noises make the deer move either to you or away from you,” DeYoung says. “But they quickly learn to adapt to unthreatening noise. For instance, a deer may bed down near a busy highway. 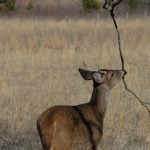 I once observed deer in Ft. Sill, Oklahoma, bedding down on the artillery range, even when the rounds went off. I believe that once deer become accustomed to a sound, it no longer frightens them.” So, look for places to put your tree stand where noises that normally spook deer don’t spook deer. One hunter in my area took a buck each year that scored more than 150 Boone and Crockett points by bowhunting less than 200 yards from a campground and picnic area in a national forest. Another friend of mine bagged a buck that scored 168 points B&C less than 100 yards from a dog pen filled with yapping beagles. To get John E. Phillips’ Kindle eBooks and print books on hunting deer, “How to Hunt and Take Big Buck Deer on Small Properties,” “How to Hunt Deer Up Close: With Bows, Rifles, Muzzleloaders and Crossbows,” “PhD Whitetails: How to Hunt and Take the Smartest Deer on Any Property,” “How to Take Monster Bucks,” “How to Hunt Deer Like a Pro,” and “Bowhunting Deer: Mossy Oak Pros Know Bucks and Bows,” or to prepare venison, “Deer & Fixings,” click here. For information on making jerky from your deer to provide a protein-rich snack, you can download a free book from http://johninthewild.com/free-books.